Confidentiality is a cornerstone of mediation. But, how “confidential” is mediation? In this article, Nancy Yeend, a nationally recognized mediator, discusses the impact of the Uniform Mediation Act (UMA) and the various exceptions and levels of protection afforded to mediators and parties to a mediation. Are there exceptions, and if so, what are they? What are the consequences for breaching confidentiality? Confidentiality is a mediation cornerstone. Knowing that what is discussed, proposals made, and who held what perspective is confidential and cannot be used in another forum, allow parties to more effectively negotiate, to make offers, and even admit fault or give heart-felt apologies. Without confidentiality, settlement rates would plummet. Even though confidentiality is necessary for the mediation process to be effective, anyone participating in mediation needs to understand that there may be some limitations. For example, if someone thought everything was confidential, and said, “You’ll never get the money, because I put it in another state!”—can that information remain confidential? Well, if the case is being mediated in Ohio and the person mentions that the money is now in Arizona, everyone realizes that 49 possible states were eliminated and finding the money got a lot easier. In most jurisdictions, things discoverable by other means are not made undiscoverable by being mentioned in mediation. What are the rules in your jurisdiction? California gives a more detailed definition: “No evidence of anything said or any admission made for the purpose of, in the course of, or pursuant to, a mediation or a mediation consultation is admissible or subject to discovery, and disclosure of the evidence shall not be compelled, in any arbitration, administrative adjudication, civil action, or other noncriminal proceeding in which, pursuant to law, testimony can be compelled to be given.” Wording like this may be significant for an expert, who prepares a report for the mediation, and then is precluded from using that report in a future trial, should the case not settle in mediation. 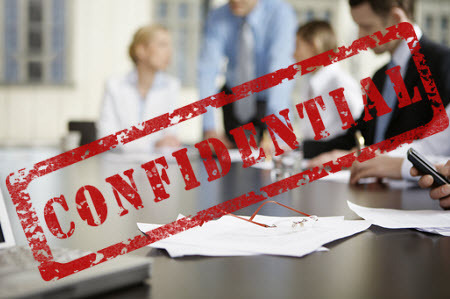 Being familiar with how confidentiality is defined and what is included could be critical. Most states will create exceptions to confidentiality for reporting criminal acts, personal safety threats, and abuse. Some states limit the reporting to only individuals who are recognized reporting entities, such as attorneys. Again, the UMA addresses these issues with: “A person that intentionally uses a mediation to plan, attempt to commit, or commit a crime, or to conceal an ongoing crime or ongoing criminal activity is precluded from asserting a privilege…” Later it states that: “… a threat or statement of a plan to inflict bodily injury or commit a crime of violence…” and “…sought or offered to prove or disprove abuse, neglect, abandonment, or exploitation…” is not protected. Exceptions for being able to report or to prosecute attorney or mediator malpractice are not universal. Again, UMA states have adopted wording like, “… sought or offered to prove or disprove a claim or complaint of professional misconduct or malpractice filed against a mediator;” is not confidential. For experts testifying during a mediation, there do not appear to be any states that explicitly permit the use of materials prepared for a mediation, to be used in another forum. This may indicate that if an expert wanted to use the same report in more than one mediation, or to use the information at a subsequent trial, an exception would need to be created in the Agreement to Mediate, or all parties would need to agree, in advance of the mediation that the report was not confidential. This topic is worth addressing before a mediation starts. Another point to consider, is the settlement agreement a confidential contract? Although parties may not want the terms of a settlement made public, they may wish to have the option to use the settlement contract in a court as evidence. This situation may arise, if there is a need to enforce the terms of the settlement. Some states require that a specific exception be written into the settlement agreement, stating that the document may be used as evidence to enforce terms of the contract. Here is where the water gets very murky. The topic is typically not addressed in state statutes, but discussed during the final stages of negotiating a settlement, where penalties for breaching confidentiality may be added to the settlement agreement. Parties want penalties for disclosure of the terms of the settlement. A key reason for wanting the terms of the settlement to remain confidential is to prevent copycat litigation. Mediation is an effective way to resolve cases; however, as with most things in life, “look before you leap.” Understand how confidentiality is defined and if there are exceptions, be familiar with those exceptions. Be aware of any penalties for breaching confidentiality. At this writing, the following states and the District of Columbia have adopted the UMA: Hawaii, Iowa, Idaho, Illinois, Nebraska, New Jersey, Ohio, South Dakota, Utah, Vermont, Virginia, and Washington. The complete definition can be found in Florida statute Chapter 44.401. See Californian Evidence Code: 1119. UMA, Section 6: Exceptions to Privilege. See Cassel v. Superior Court (2011) 51 Cal.4th 113, 244 P.3d 1080. These sates include: Alabama, Arizona, Colorado, Delaware, Georgia, Kansas, Montana, North Dakota, Oklahoma, Oregon, and Tennessee. These states include: Alaska, Arkansas, California, Connecticut, Indiana, Louisiana, Maine, Missouri, Mississippi, Nevada, New Hampshire, Pennsylvania, Rhode Island, South Carolina, Texas, West Virginia, Wisconsin, and Wyoming. California Law Review Commission Staff Memorandum, First Supplement to Memorandum 2014-35, September 3, 2014. This article is not intended as legal advice, and before participating in any dispute resolution process, consult an attorney to learn how the process works, if confidentiality rules apply, and if so, what are the exceptions. Nancy Neal Yeend is an experienced, nationally recognized dispute management strategist and mediator handling civil cases for nearly 30 years. She serves on two Appellate Mediation Panels, and has served as faculty at the National Judicial College for twenty years. She co-founded Silicon Valley Mediation Group in Los Altos, California, and has recently opened a new office in Portland, Oregon affiliated with Pacific Coast Strategies.